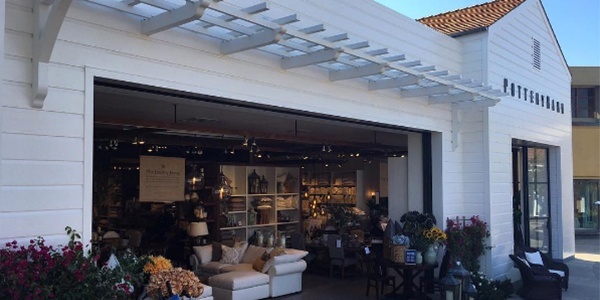 Pottery Barn debuted a new “modern farmhouse” store design last week in Corte Madera, California. The 12,288-sq.-ft. space blends rustic and modern elements and features high ceilings with exposed wood beams, a central skylight and 11-foot high steel framed doors opening to an outside seating area. The structure incorporates locally salvaged wood from buildings at Oakland Army Base, hand-forged iron shelving elements, LED lighting and low VOC paints. An expanded Design Studio offers new tools and resources to assist customers in visualizing and customizing interior design and home furnishings projects. In-store and in-home design consultations are free, and in-home installation services are available for a fee. This is an excerpt from this full article posted on HomeAccentsToday.com.